The former American Chess Foundation (now known as Chess-in-the-Schools) helped organize a program and research in the USA. Faneuil Adams, Jr. and Bruce Pandolfini founded the New York City Schools Chess Program (NYCHESS) in 1986. The NYCHESS program sends an experienced chess instructor to the schools to establish a chess program. These instructors teach five lessons and help a teacher in the building develop an ongoing program. The instructors are assisted by high school chessplayers and students from the local school who excel in chess. The youth serve as assistants and work with the pupils between visits from the NYCHESS instructor (Palm, 1990, pp. 4-5). More than 3,000 inner-city children in more than 100 public schools participated in the program between 1986 and 1990. The program continues to motivate young people in some of the poorest neighborhoods in the city. The New York City Schools Chess Program Report is impressive, but it is based primarily on academic and anecdotal records. No statistical methods or tests were cited in the thirty-seven page report. For statistical proof for the NYCHESS Program, one must review Margulies (1992) The Effect of Chess on Reading Scores: District Nine Chess Program Second Year Report. This report evaluates the reading performance of 53 elementary pupils who participated in chess and compares their results to 1118 nonparticipants. Margulies used the paired t-test to evaluate the significance of reading gains within the chess group. He further compared the nonparticipants to the chess participants by using the chi-square test. Dr. Margulies concluded that chess participation enhances reading performance. The results of the paired t-test were significant beyond the .01 level. The chi-square test results of chessplayers in the computer-enhanced and high-scoring nonparticipants were significant at the .01 level. The comparison of results of chessplayers in the computer-enhanced program and all nonparticipants resulted in a chi-square=5.16, which is statistically significant at the .05 level. Margulies extended his research and completed two additional studies. I believe we are on to something. This year our school experienced unprecedented growth in both reading and math as measured by the DRPs and the CAT. We went up school wide 11.2% in reading and 18.6% in math. During the 1995-96 school year, Dr. Margulies completed an expanded study (The Effect of Chess on Reading Scores) that included students from four schools in Los Angeles and one school in New York City. He also incorporated a general reasoning module in his third study. 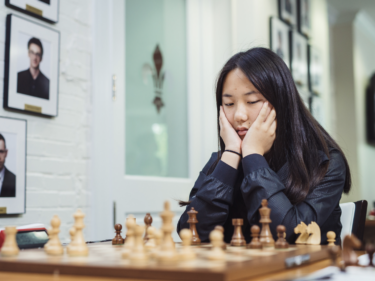 Although the chessplayers average pre-test scores were somewhat lower than the control groups average, the chess groups in all five of the schools scored higher on the post-test than their peers in the control groups. The results were significant at the .001 level. What is even more remarkable about Margulies third study is that the chess students improved significantly over the control group even though the control group spent more time on reading. At the same time as the control group was studying reading, pupils in the chess group were pulled out of the classroom one period (45 minutes) each week for chess instruction. My fourth study (1998-1999), S.T.A.R. Pilot Project Findings, took place at the fourth grade level at School Street Elementary in Bradford, PA.
Three classrooms taught by male teachers were selected for the study. Two of the classes received chess enrichment, and the third served as the control group. Further, one class used the Think Like a King software. The school year time frame between the pre- and post-test was 0.79. The class using Think Like a King demonstrated an instructional reading level increase on the S.T.A.R. of 1.6 years beyond the control group. The second group receiving chess enrichment scored an increase of 1.5 years. While Dr. Margulies research remains of paramount importance, other studies noted under other headings have noted similar improvement in reading. James Liptraps study (reviewed in the math section) found that regular track chess players scored 4.3 points higher in reading (p<.01). Dr. Franks study included in the thinking section later in this paper also demonstrated gains in both math and reading. This concludes Part II of Chess in Education Series II ! These are amazing findings ! 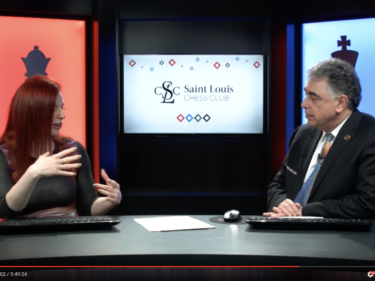 Dr. Ferguson’s research and paper shows us how chess can greatly impact and shape our childrens learning potential ! Stay tuned for Part III of this series ! Feel free to submit questions and comments on this post. Your feedback is greatly appreciated !